After explaining that Hall of Fame NCAA Football Coach Bear Bryant always had a similar strategy, “see, the Bear would never show his hand. What are you going to do? 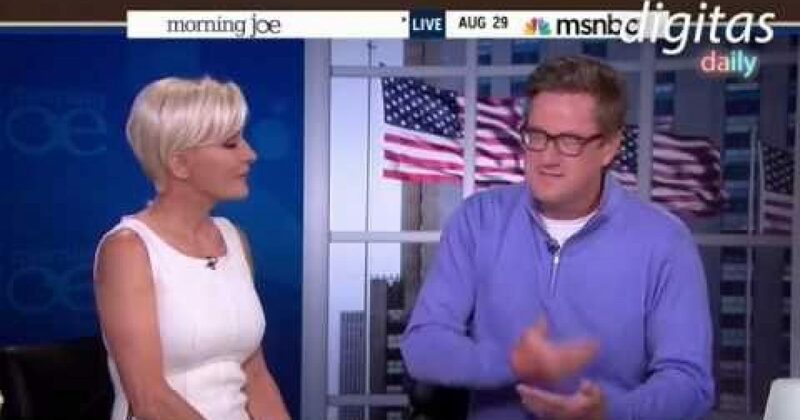 Show your hand?” Scarborough launched a sometimes-confusing soliloquy explaining that the President was taking the same approach as the panel added uncomfortable laughter because they weren’t sure if the host was being serious. Everybody is freaking out. The President said yesterday we don’t have a plan. NO, no, no, I gotta ask, which is worse? Is it worse if a president says I’ve got a plan and this is exactly what I’m going to do? No, I am dead serious. I am not joking. It’s straight out of “The Art of War “where when you were weak, you make your enemies think you were strong. When you were strong, you make your enemies think you were weak.” No. I’m just saying. Everybody is freaking out. A couple of days ago the Republicans were freaking out and saying, “Oh you know they are releasing information at intel and showing our hand.” I’m dead serious. Maybe this guy is confused and maybe he has no idea what he is doing. I’m thinking, though. And again, I said this last week, Barack Obama – and I said it in real-time. So for Republicans that want to kick me around, you can kick me around if you want to. I said it in real-time. When he said it was about humanitarian assistance that is cool but it’s not really about humanitarian assistance. We are going to see more and more going in. The President got more active and more active. The President has a plan on ISIS. Does he know exactly where they are going to bomb in Syria? Maybe, maybe not. I suspect they probably do. Because everybody around the President is showing their hands. On Russia where he is supposed to be so weak. Samantha power delivered a blistering attack against the Russians. The President was like “eh.” The same thing, you talk about Syria. His Secretary of Defense, his Secretary of State, everybody who works for the Commander in Chief, they basically stated we are going to go into Syria. I kind of like — I’m just saying. This is what I would do. Now maybe, maybe he has no idea. I would say — “well, we don’t really have a strategy yet; we are still working on a strategy”. If I’m about to attack another country — no, I would say — no. If I were about to attack another country, I’d say, you know what? We don’t have a strategy. We are still working it out. You know, and then I’d go over you know [speaking into his lapel] “Scramble the jets scramble the jets, right?” They are looking at and going, Barack Obama. “Scramble the jets.” Okay, I’m sorry. Am I wrong?